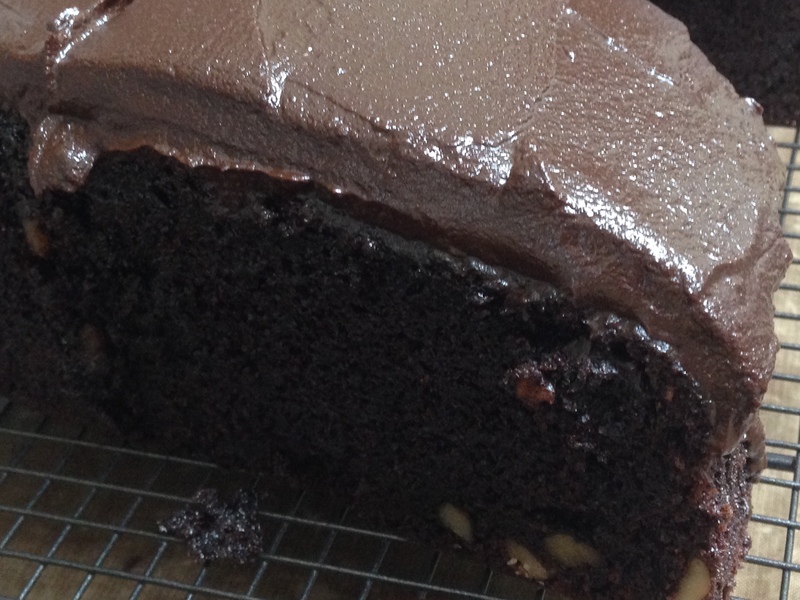 A decadent fudgey chocolate cake with a kick! This is a proper chocolate cake for adults, not too sweet with plenty of dark bitter chocolate and a rich chocolate ganache that complementary chilli heat. What’s more it uses up loads of your surplus courgettes. What could possibly be better? I made it with courgettes from my own garden but used white & wholegrain spelt flour in here! It was fab & just so Amazing too! Sounds great Sophie. I love Spelt flour, but the lack of gluten can make it quite tricky. I suspect courgettes and spelt might give you quite a dense loaf if you don’t work that dough hard!